East meets West. Photo: Pete Johnson / Pexels. Learning on the go. Photo: Pxhere. Yes, we at all times have a few dozen foreign monks somewhere in Thailand and yes, there are a very modest number of foreigners who have done it, so you can certainly do it too. However, it is a process that is little understood by the outside world and ordination is fraught with highly unusual challenges. I’ll leave the specifics of monastic life to another article, but in order to understand the life of a foreign monk, it might help if you had a general Thai frame of reference. Historically, Thailand has been well over 90% Buddhist. In agricultural times, it was common for men to ordain as a monk during the off season in order to accrue good merit for their families. At this time, a woman could also ordain as a nun. Today, seasonal ordination has largely given way to more modern practices. Thai temples, seemingly superannuated by time, often sojourn in the shadows of modern skyscrapers and it has become common for many modern Thai men to ordain for just a week or two in order to make merit for their families. However, those wishing to be foreign monks face a slew of challenges. Immigration is usually not a problem, but many temples will not ordain someone that they do not know. In addition, Thai people spend many years learning the complicated chanting that is involved with normal ceremonies. My temple had Sunday school for juvenile chanting, and a foreign monk would probably need to be paired with a Thai monk who knows Sanskrit, Pali, Thai and English, and such a person is not to be found just hanging out at your local store. The biggest problem over the long haul will be what I call ‘punishing rewards’, the human costs of the tremendous cultural differences between Eastern teachers and Western students. Thais have not historically been raised to find information independently. Indeed, Thai students are famed for rote learning and this has proved to be a major handicap for many Western students. 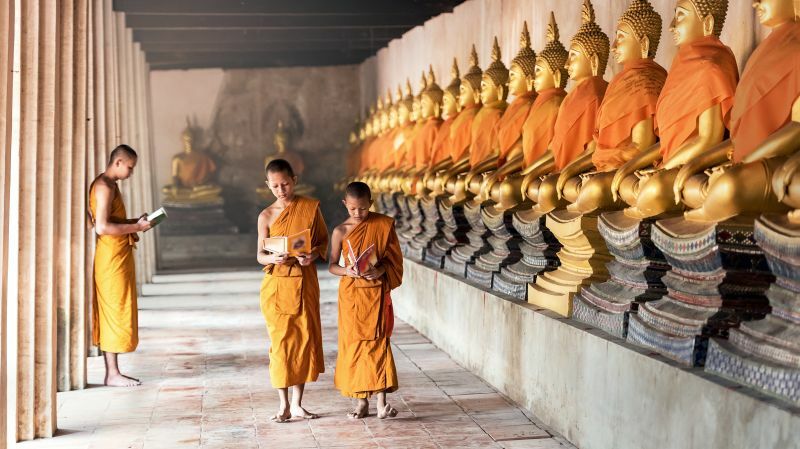 What is more, Thai Buddhist gurus may not understand just how much really will be lost in translation between the translating monks and the intended foreign recipient. It is not the same, especially when you are talking about four very estranged languages. This loss in translation often causes a somewhat constricted flow of information because the student rarely understands everything. This, of course, leads to the student yearning to understand more. Yet, it is frequently a mortal sin for novice monks to listen to speeches on Buddhism that have been recorded by someone other than their primary teacher. 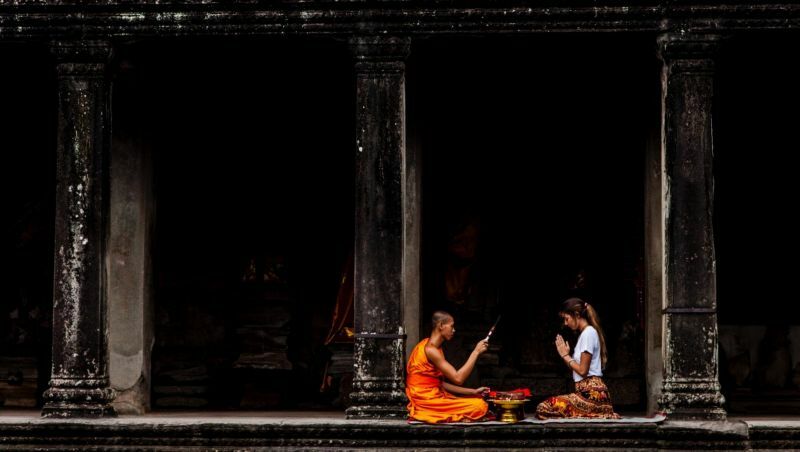 In historical Thailand, a novice frequently committed to only one teacher until Enlightenment was obtained, a process that routinely spanned many years. This system has worked well for many novice Thai monks who are trying to avoid unorthodox sources of information, but might be the worst possible system for a foreign monk studying in modern times. Unfortunately, some Thai monks are simply unable to understand that Buddhist talks recorded in native English are critical to filling in the gaps that a translator cannot. So, if you want to be a foreign monk in Thailand then, by all means, I say carpe diem and go for it. The journey into Thai Buddhism will be a Bodhi tree that bears much rewarding fruit, but rarely will reaching that fruit come easy. In the end, do not be surprised if you find that you have inadvertently stumbled upon a land of punishing rewards.